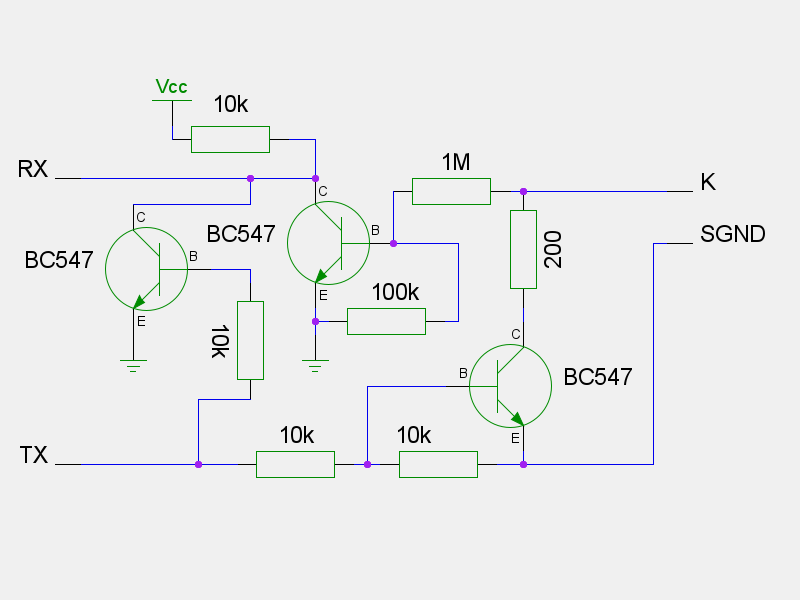 Well, I finished the transceiver circuit design and implementation. I added an extra transistor to avoid the transmitted data looping back to the rx port. It has only been tested with a multimeter so far, but it seems to do the right thing. The real test comes after I've implemented some initalization logic in the AVR. I'm still not sure if I need to add any external pull-up to the K line; will try first without and see how that goes. 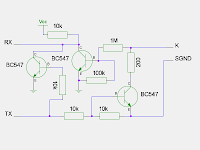 Edit: Note that real TTL serial idles high, but this implementation idles low. I'll invert the signals in the AVR code to save some components.